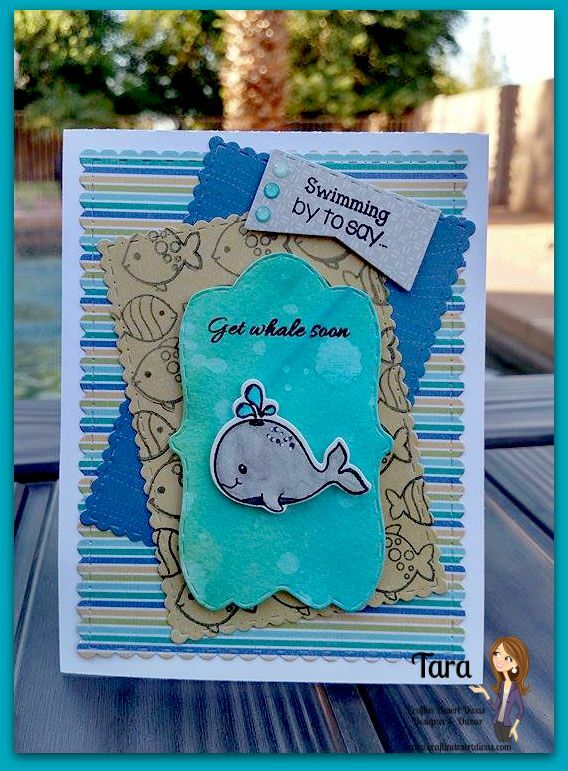 Welcome to the CDD Mini Stamp & Die Release Blog Hop. All stamps are in the CDD Shop and now available for purchase. You may purchase stamp and dies HERE. I have release video for you..
My hop project is a super quick card I made using the new Fancy Frame Dies for my bottom three layers. 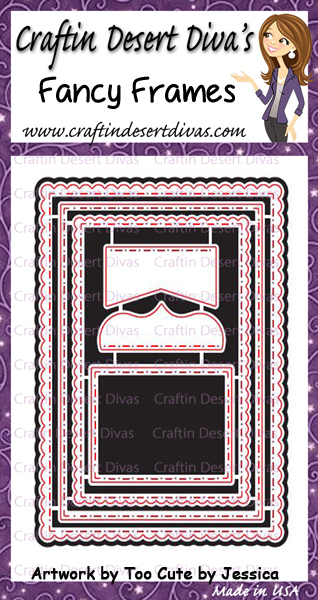 I just love how easy they are to make your layers for your card. I used two of the fish from my Under The Sea stamps to stamp on the tan paper. I did watercolor some paper and used my Tag Essentials Die to put my whale on. I did use my Under The Sea dies to cut out my whale, then I colored him in with my Zig markers. This was super simple and quick to come together as I already had the watercolor paper made. I hope you've enjoyed this release. Please join us again tomorrow for more. Sale starts on 8/7 and ends 8/11 10pm MST. 1. Use Code: July to save 10% off entire purchase. 2. You will receive 1 free bag of sequins for every $20 spent. Just leave a comment with your order and it will be added in. Ends 8/11 10pm MST. Each day, there will be a new FREE SVG pattern. You can email craftindesertdivas@gmail.com to request it. You must comment and follow each blog in this hop in order to get the free file. Great Card, I love the stamping on the tan paper. It really adds to the whole card. Thanks for sharing your ideas. I am so in love with the dies, can't wait to get them!!! Great project!! This is delightful, Tara! 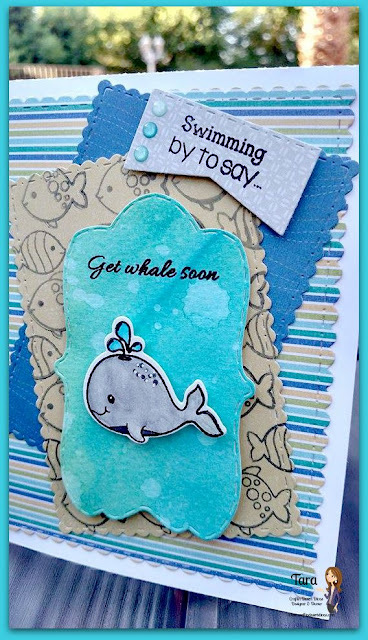 I love the way you stamped the fish on the craft color paper and the water color tag is so cool. I'll be back to watch the video...can't wait to see what you're sharing!! Love all of the newest treasures...each new release tops the last. Fabulous stuff lady!! Love your card. Super cute. Thank you for sharing. Have a great crafty day! Love these dies your card is SPECTACULAR! Love the stamp. Is in my wishlist! Love this card. That whale is so cute!! Great video also! Super nice card. I love those colors! Cute card, sure to brighten up anyone's day! Adorable card. I love the watercoloring. This card is so cute! Love all the layers! Cute card! Love cards that are quick and cute! Love all of the creations for today's Blog hop. So inspiring. Love your card. It's super adorable and I love the layering that you did. Great design. So so cute!! I love all the layers! These dies and stamps are so much fun!! Great video too! I just love the background you created with the fish stamps! So adorable! Such a sweet card!! Your dies and stamps this month are adorable!! Darling new set! 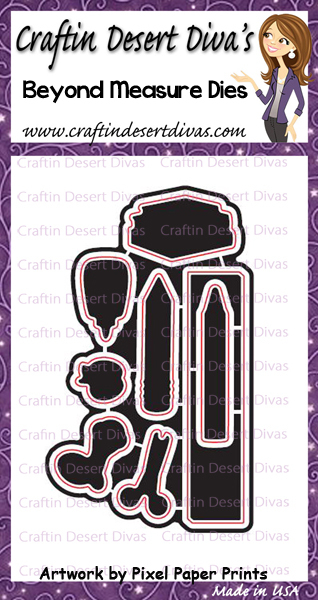 Way to go Craftin' Desert Divas. Keep those sweet sets coming our way, and all the great inspiration as well. Awesome card and video Tara. I love that cutie patootie whale! Great card. The ruler is my favorite stamp out of this set. I love your card and can't wait to hop! So cute for a quick and easy card! Your card is so adorable! Love this release! Tara, You did it again... You created such a spectacular & oh so cute card. I like the way you used the dies to create layers on your card. and than stamping the different fish on plain paper really adds dimension to the card. What a cute card, Tara! Love all the layers! Cute! Especially love your stamped fish background. So pretty! Love the distressed backgrounds! Sweet card! Fabulous card. Love the little fishies in the background. 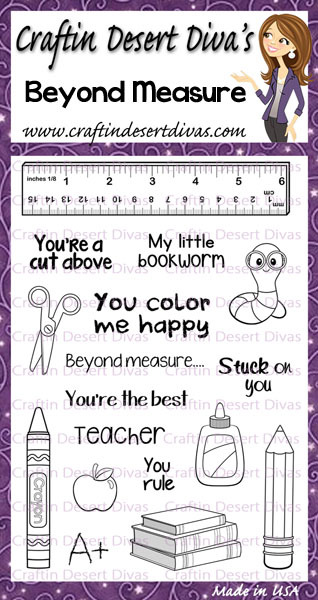 Love your Card those colors are awesomevand the die cuts frames are great! Tara, I just love your cards. They never cease to amaze me with their fabulousness.